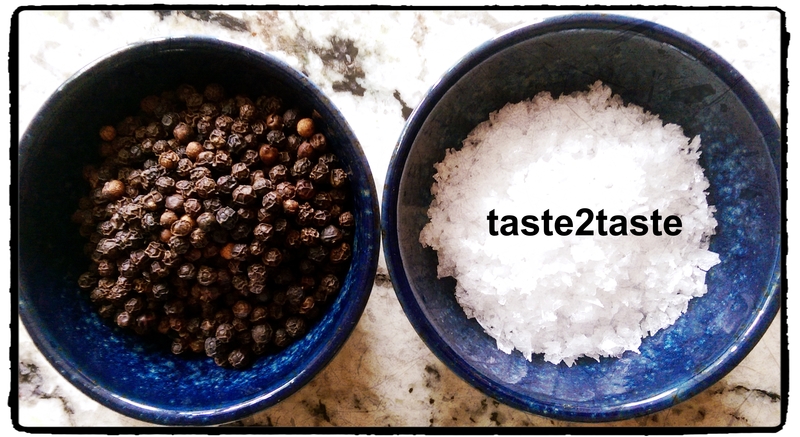 Christmas is only a few cooking hours away and I love to prepare as much as possible in advance. 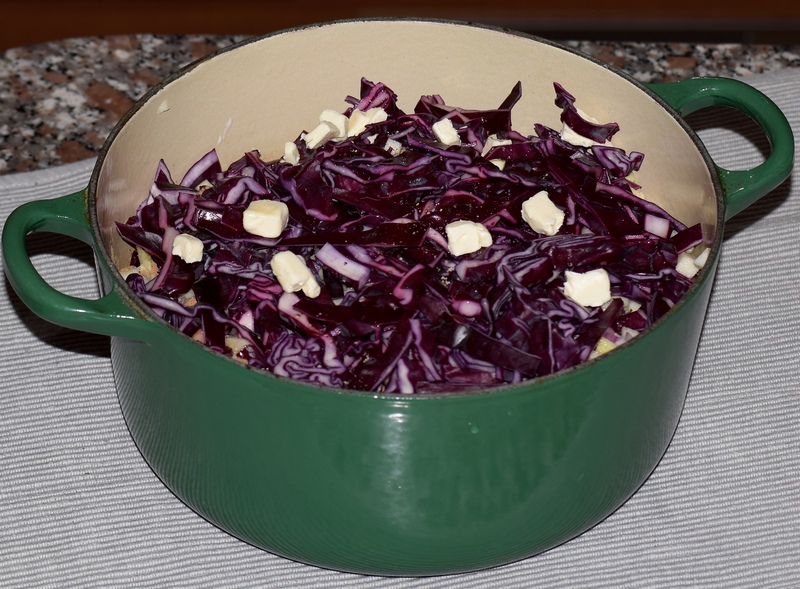 So I decided to make Helen’s braised cabbage recipe which tastes even better the next day. 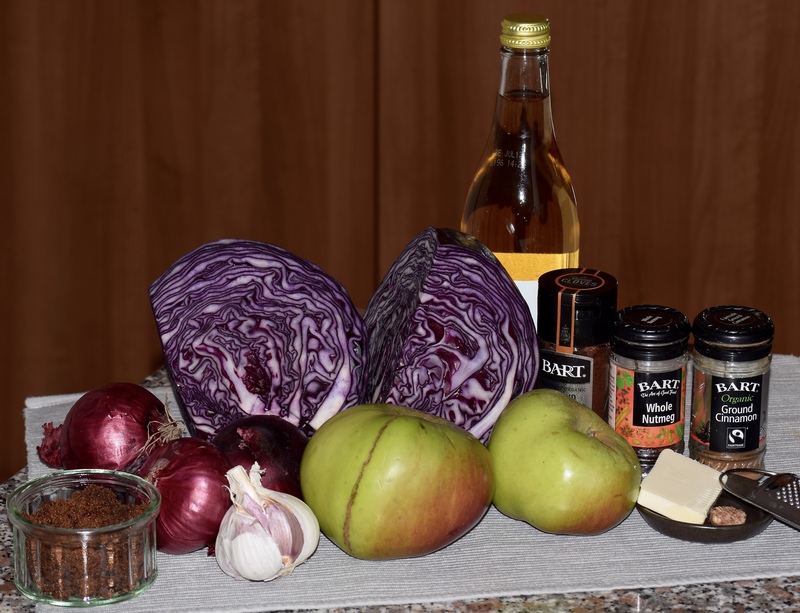 It is a perfect Christmas or Winter veggie side and works well with roast turkey, chicken, sausages, venison, stew or a vegetarian main especially nut roast. It is gluten free and can be vegan/ dairy free by replacing the butter with a dairy free cooking spread. 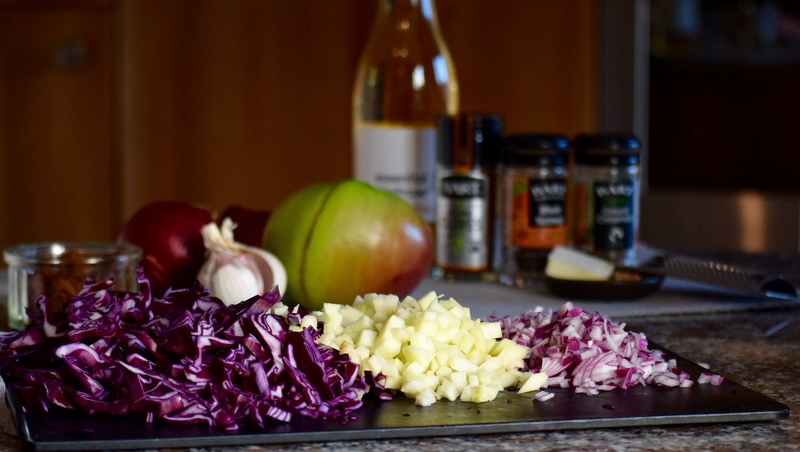 Brilliantly braised red cabbage – a Christmas & Winter warmer.